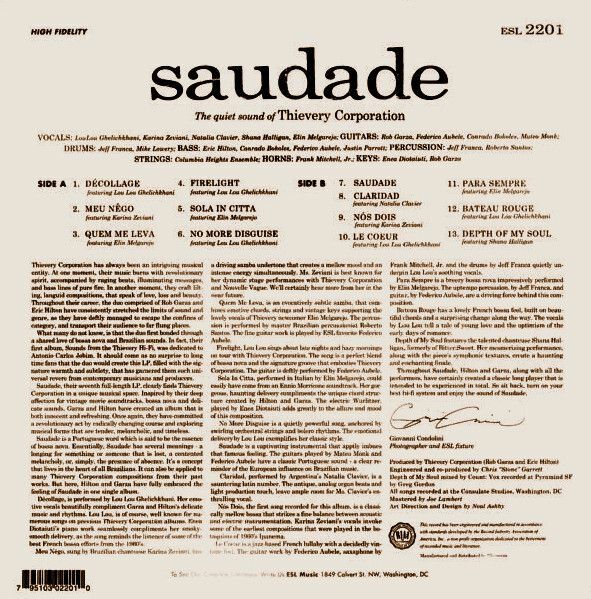 Saudade' borrows its title from a Portuguese word meaning "a longing for something or someone that is lost, a contented melancholy, or, simply, the presence of absence." 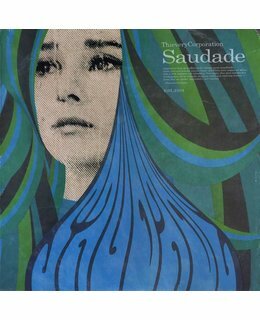 Drawing influence from classic Brazilian performers like Antonio Carlos Jobim, Gal Costa, and Luis Bonfá--along with Serge Gainsbourg, Ennio Morricone, and more modern artists like electro-samba pioneer Isabelle Antena--Saudade achieves its delicate yet deeply sensuous sound with the help of more than a dozen guest musicians. 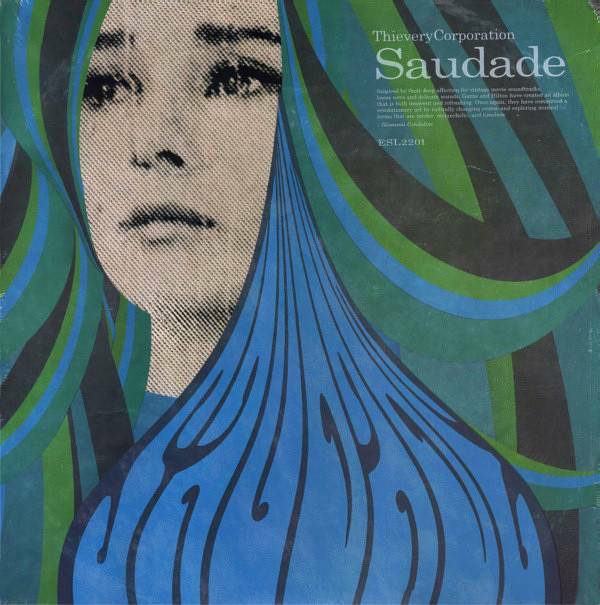 With each track sung by one of five female vocalists (including longtime Thievery cohort LouLou Ghelichkhani, newcomer Elin Melgarejo, Nouvelle Vague singer Karina Zeviani, Argentine chanteuse Natalia Clavier, and former Bitter:Sweet singer/songwriter Shana Halligan), the endlessly mesmerizing album also features such guests as U.N.K.L.E. drummer Michael Lowery, Argentine singer/songwriter Federico Aubele, and master Brazilian percussionist Roberto Santos.